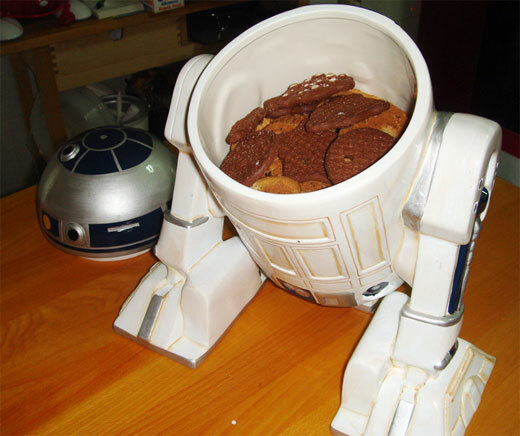 I was just minding my own business (shopping online) this morning when I came across this great R2-D2 cookie jar. The hand-painted ceramic R2 stands about 12-inches tall and flips his lid, letting you put all your tasty baked morsels inside the little droid. Now go figure that there’s a warning on the product page that reads: “The Star Wars Collectible Cookie Jars are intended for decorative and collectible purposes only. They are not intended to hold cookies or any kind of food item.” I don’t know about you guys, but I think I’ll take my chances on contracting lead poisoning if I can keep my cookies in R2’s head. 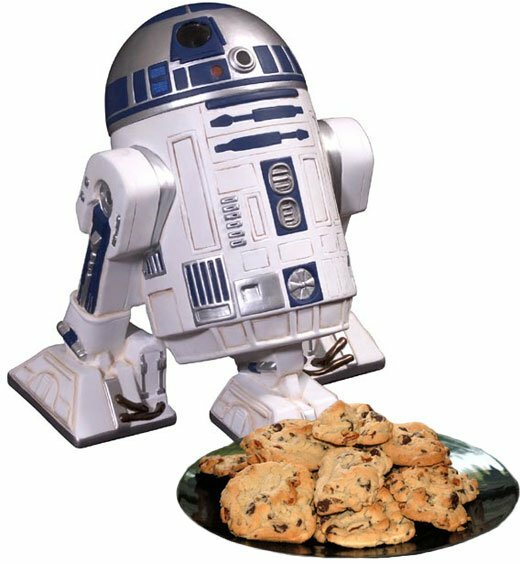 Cookiehead R2-D2 can be found over on Amazon for $39.99.